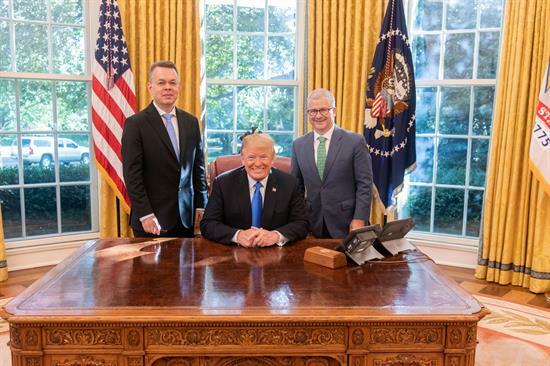 On Saturday, Chief Deputy Whip Patrick McHenry (NC-10) joined President Trump in the Oval Office of the White House to welcome Pastor Andrew Brunson home. Pastor Brunson, who is originally from Black Mountain, North Carolina, was imprisoned in Turkey on October 7, 2016. On Friday, over two years later, Pastor Brunson was released and finally reunited with his family here in the United States. 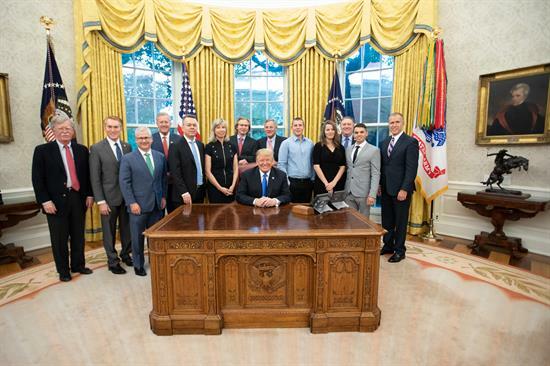 Official White House Photo By Jodie Steck. Official White House Photo by Shealah Craighead. Background: In May, a bipartisan group of 154 Representatives, led by McHenry and Congressman David Price (D, NC-04), sent a letter denouncing the wrongful imprisonment of Pastor Brunson. You can read the letter by clicking here. 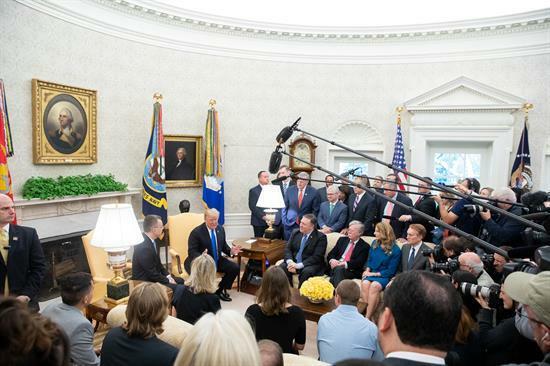 McHenry also called for the release of Pastor Brunson in a June speech on the House Floor, which you can click here to watch. You can read McHenry's statement on the release of Pastor Brunson here.